The Ray, a 18-mile-long stretch of highway that's trying its hardest to mitigate all the ill effects associated with highway travel, is getting a 1,000-square-foot demonstration wheat farm along its shoulder. Having a stretch of highway named in your honor is a big deal. 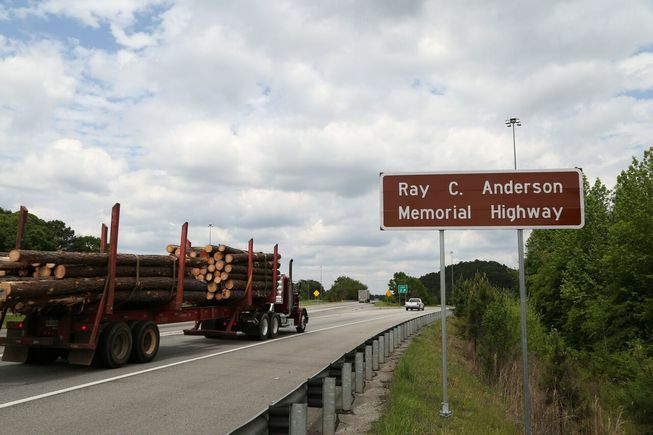 But the Ray C. Anderson Foundation, the nonprofit family foundation dedicated to realizing the legacy of the late green business pioneer, has opted to take the highway memorization process one giant step further. This difference should be apparent to anyone who has ever traveled along Georgia's Ray C. Anderson Memorial Highway or, simply, The Ray. Not only has this 18-mile-long segment of Interstate 85 in rural Troup County boasted Anderson’s name since June 2014, it also functions as a self-described proving ground for cutting-edge sustainable technologies that aim to change with way we interact with major transportation corridors. For starters, there are solar-powered electric vehicle charging stations, beautifying bioswales and a 7,000-square-foot pollinator garden.